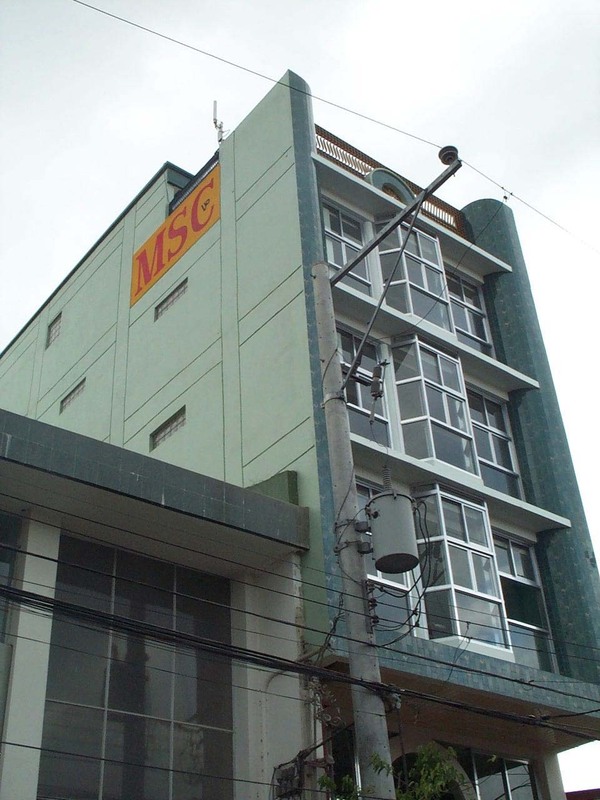 In 2002, MSC main, which was then occupying the 4th floor of the La Suerte building was again outgrown by its growing number of students. Even with the old Agrix Supermarket or MSC annex, being used at the same time, an even bigger space was essential. Fortunately at that time a four storey-building beside MSC Annex was nearing completion and the owner was looking for lessees. The building which was later named El Coco Building was perfect for MSC! The whole of the first floor was occupied by MSC Data Exchange (and Service Center), MSC’s sister company dubbed as a one-stop computer shop. MSC Data Exchange was previously renting a space along Paseo de Escudero, but it fit just right in its new location. The Mezzanine of El Coco was where the computer laboratory was transferred. The laboratory was big enough for 40 students, or one complete section. The second and third floors both had two average-sized classrooms each. The fourth floor and the penthouse were used for Caregiving classes, which were first offered by MSC in mid 2002. This entry was posted in College, History, MSC and tagged El Coco building, MSC Caregiving School, MSC Communications Technology, MSC Computer Training Center, MSC Data Exchange, msc high school, MSC Service Center on December 3, 2014 by Jose Adonis Duma.